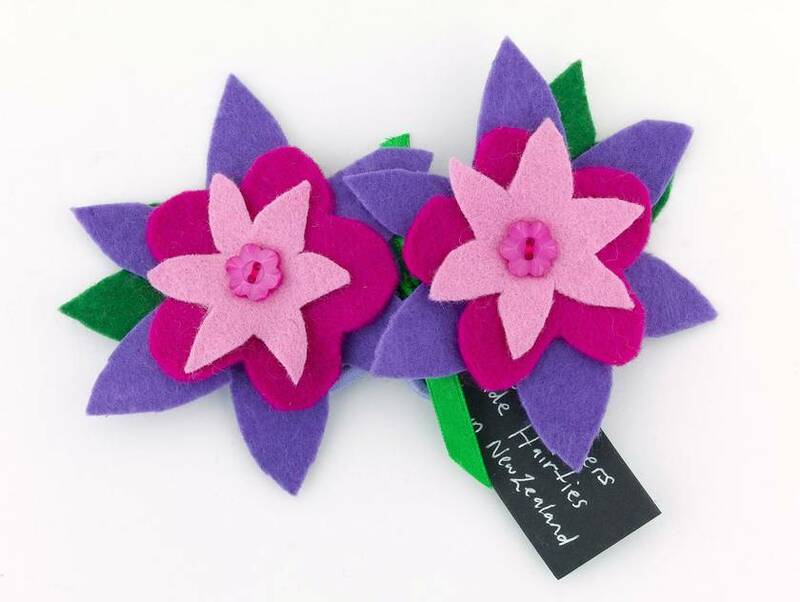 Fun Felt flower hairties are handmade from felt and unloved buttons. The flowers are securely fastened to sturdy hairties. This listing is for one set of two matching hairties. They are available in different designs and colours so please let us know which design you would like when you send through your delivery details. 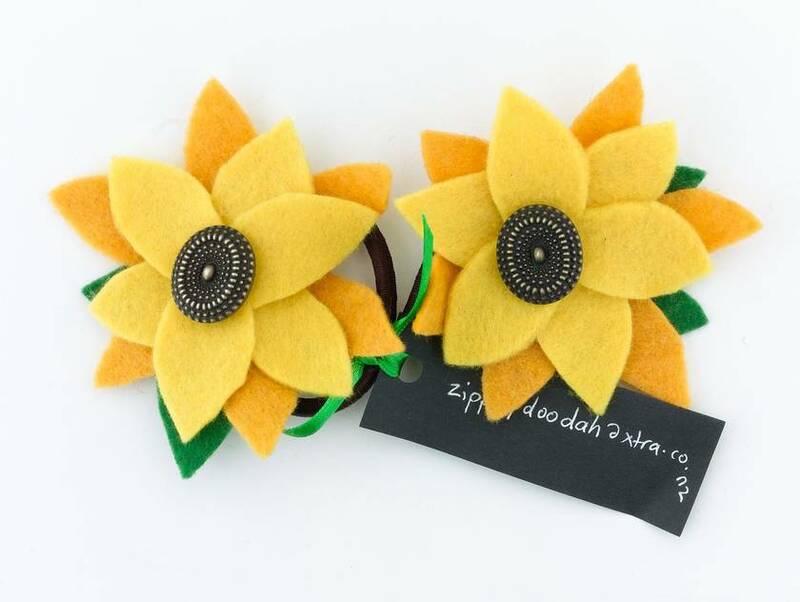 They are also are available as hairclips. 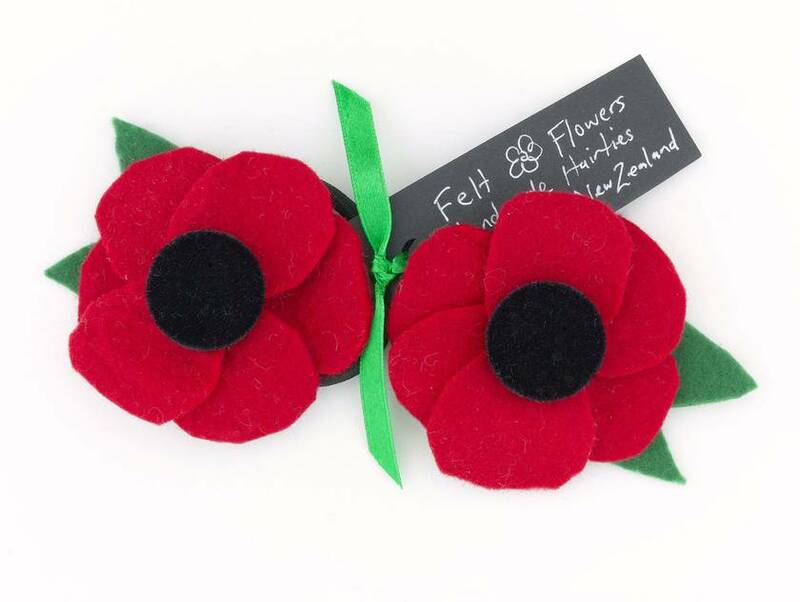 Flower size approx 7cm across excluding hairtie. Please note I use unloved buttons so sometimes the buttons may vary from those in the photo but will be similar.